hi! i made an account to post here for help. @___@""
to put this bluntly, for the past 8-10 hours i've been trying to change the font in my game from the gaudy "VLGothic" font to "RM2000 Regular". i've looked through almost every tutorial and watched every video i could find on how to change the font game-wide. i've tried scripts upon scripts, and i've tried every valid location to put these scripts, but i'm still unable to change the font. here's some screenshots of what i currently have so far. i'm getting so frustrated about this because i don't know what i'm doing wrong here. help?? I'm not sure about having multiple fonts like that, at least I've never tried it. With the name, it can be tricky. You look at that and it's like, yo, the font is called "Visitor1", but it's a lie! 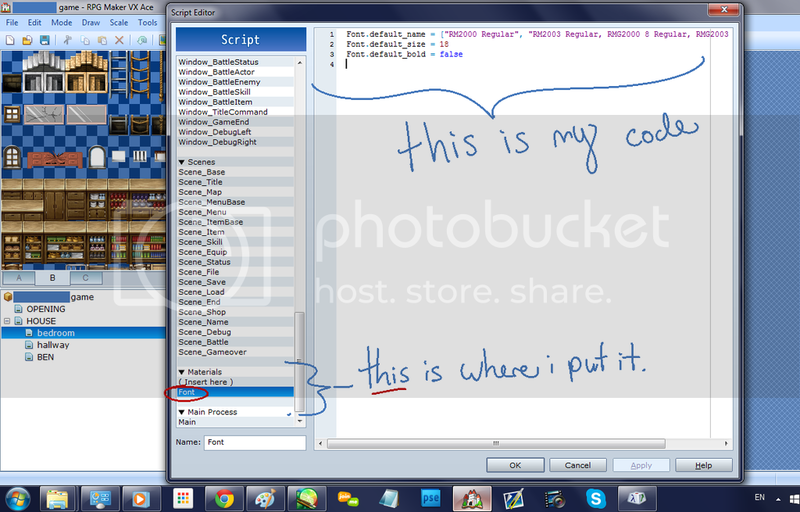 Get find the actual name you have to righ click on the font properties > details. 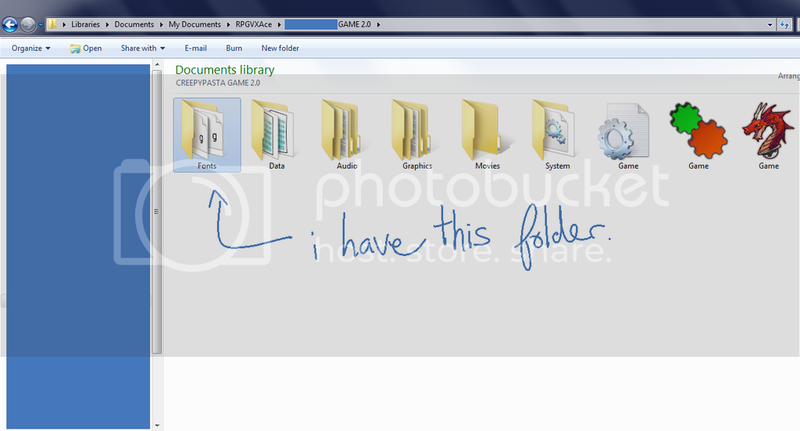 We can look at the title and now we know that the font is actually named "Visitor TT1 BRK"
Are those TTF or FON files? 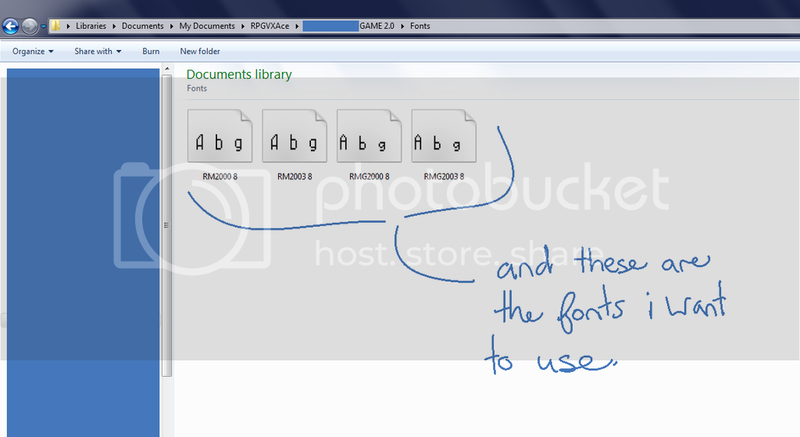 You have file extensions hidden in Windows Explorer, and I have no experience with RPG Maker 2000-2003 font files. 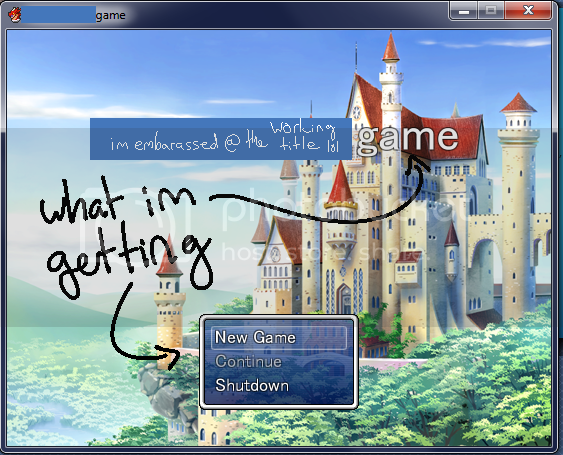 FON files are bitmap based and cannot be resized, therefore RPG Maker Ace ignores them and uses the default font set instead. EDIT: If you're looking for some nice bitmap-esque fonts, I'd suggest looking here. Tempesta Seven and Tempesta Five are my favorites. EDIT II: Yeah, after glancing over the RPG Maker 2000-2003 fonts, all of them are FON ... so they are unusable in RPG Maker Ace, unfortunately. @exhydra: oh!! ohhh my goodness @____@ that explains a lot. i swear they were TFF files last night, but it was 4 in the morning by the time i went to sleep and i most likely misread. thank you!